NW 56th St. & NW Waukomis Dr. 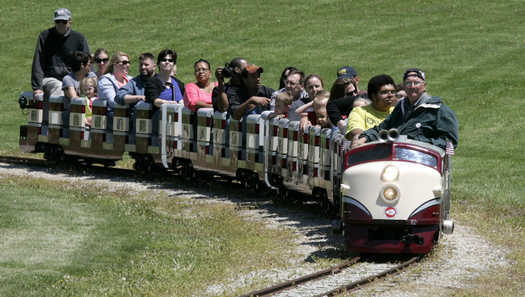 The history of Frank Vaydik Park, formerly Line Creek Park, goes back a long way. In 1932 local archaeologist J. Mett Shippee began to do archaeological digs in the Line Creek Valley, recording and collecting his findings. Some digs had occurred in the area as early as the mid-1870s, but they were not continued in an organized fashion until Mr. Shippee began his studies. While several Indian tribes are believed to have been in the area over a period of several thousand years, the Hopewell tribe became the one most closely associated with the Line Creek area. The Line Creek property was acquired by Kansas City’s Pollution Control Department in 1963 to serve the Line Creek watershed. In late 1964 the site was saved from destruction from proposed construction of a large sewer main and sewage lagoon due to the efforts of several people including Anita (Mrs. Gerald) Gorman, later to be on the Board of Parks and Recreation Commissioners, and Anna Mae (Mrs. Robert) Hodge whose husband was on the Board at that time. 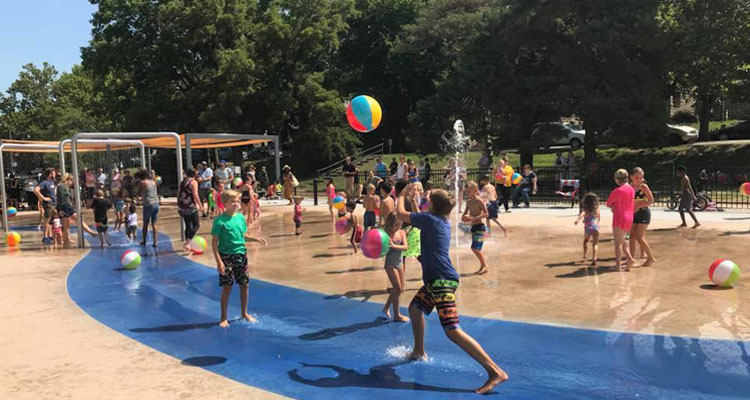 They were told of the historic significance of the site and they notified Frank Vaydik, who was the director of the Kansas City Parks Department, and moves were made by the Parks Department for purchase of the property. The property was accepted as land for development as a park by the Park Department in 1965. Property was acquired in 1965 and 1966 and dedicated in 1967. 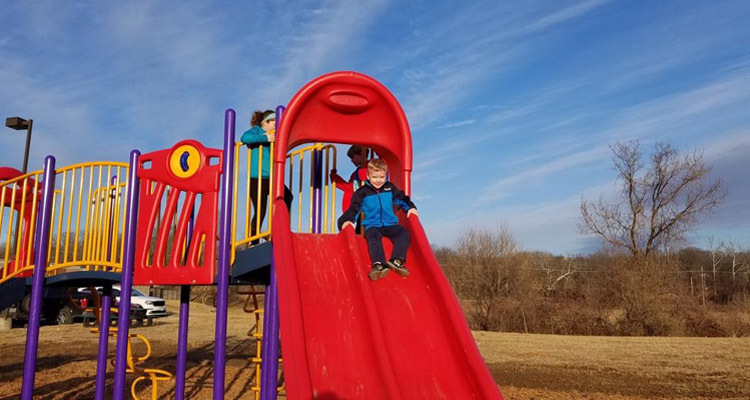 It was the first Kansas City park located in Platte County. Plans for the park included active recreational areas, a natural area for picnic facilities and nature trails. An important component of the plan for the park was an archaeological preserve which would be fenced and access controlled. The archaeological site was listed on the National Register of Historic Places in 1970 with the dates 499 BC until 1500 AD. Another significant Hopewell site is located in the Riverside, Missouri area and there is evidence of other small sites in the area, but the Line Creek site was considered the least disturbed. Three small and striking looking buildings were built in 1974 to temporarily house and display the artifacts. Designed by Park Department employee Vernon Jones, they were of a creative geodesic design where artifacts were displayed, a diorama of a Hopewell village in the year 1 AD created, and a hut replica built. Educational programs were offered through the museum beginning in 1974. The museum closed in 1999 and the buildings were torn down. Programming featuring the artifacts continued until 2003. The artifacts are now in storage. Additional property was added to the park in 1979. 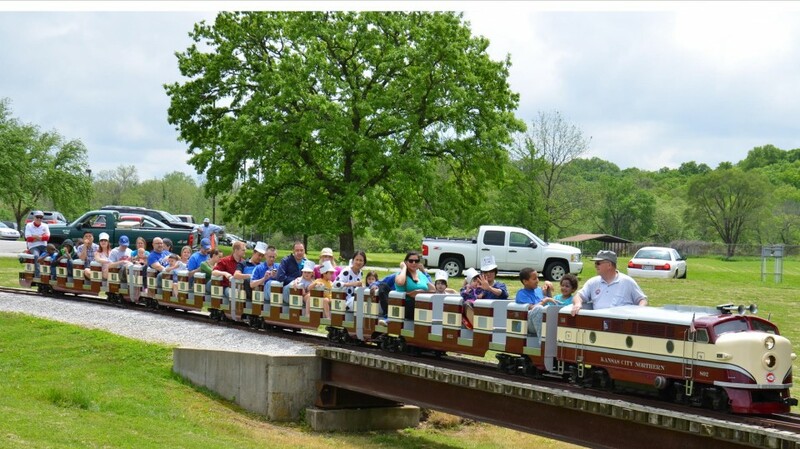 In 1985 a miniature railroad was installed and is still running today. 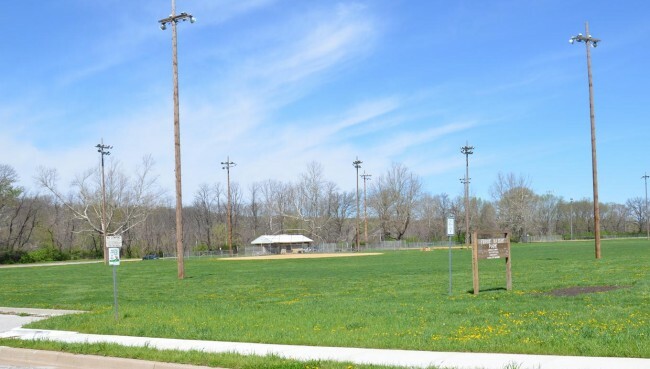 Other improvements to the park over the years were a community center with ice rink, ball diamonds, a football field and a soccer field. 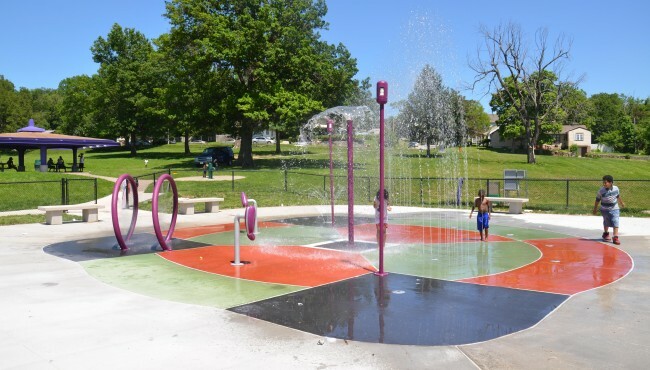 Line Creek Park was renamed as Frank Vaydik Park in 1980 to honor the service of Frank Vaydik as Superintendent and Director of the Kansas City parks, recreation and boulevard system from 1964 until his retirement in 1980. 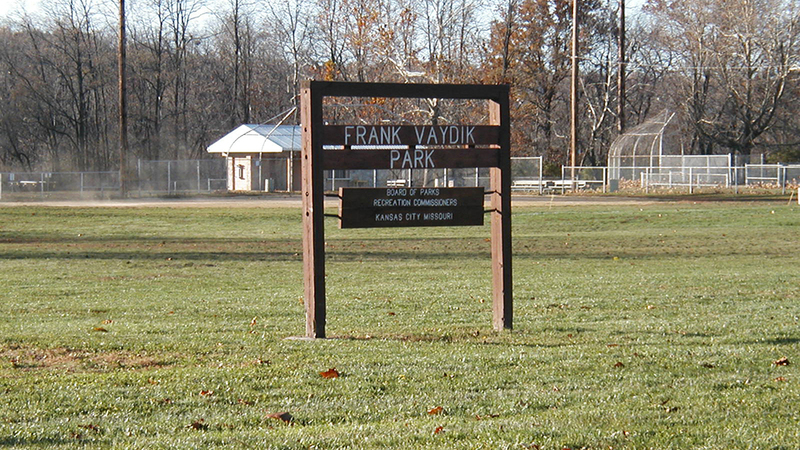 In 2001 the park’s name was changed to Frank Vaydik Park. Frank Vaydik was born in 1913 in Michigan and was of Czechoslovakian heritage. He did not learn English until age 10 when he was enrolled in grammar school. He graduated from high school with honors. Earning his B.S. in Horticulture from Michigan State University, he first worked as a florist, then later in Forestry and Landscaping in Detroit’s Park System from 1942 until 1963. 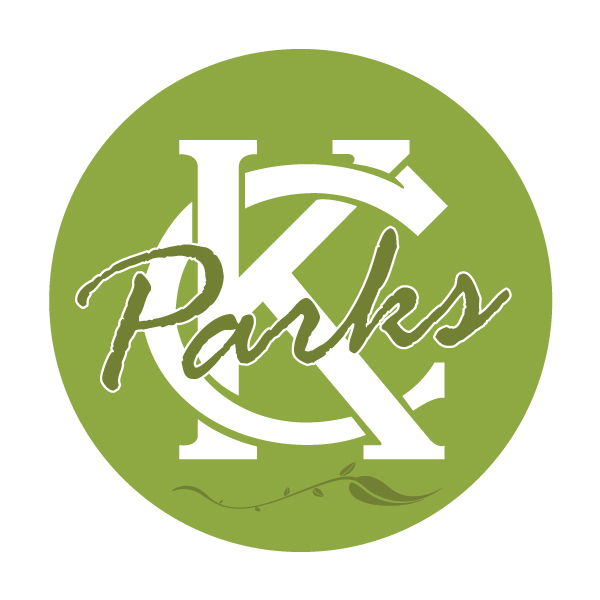 In 1962, Mr. Vaydik was brought to Kansas City by the Kansas City Park Board as a consultant to make recommendations about a very serious disease affecting many of Kansas City’s trees called Dutch elm disease from which thousands of Kansas City’s graceful and beautiful elm trees died. 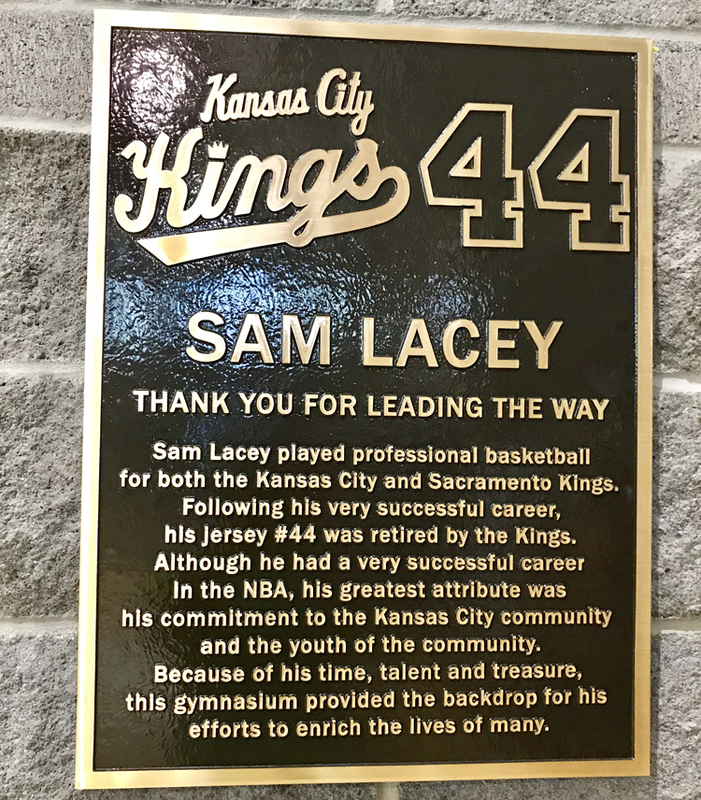 In 1964, he became the Superintendent of Parks of Kansas City following the retirement of J.V. Lewis. In 1967, the Park Department joined with the Recreation Division of the City becoming Parks and Recreation. Mr. Vaydik’s title became Director of Parks and Recreation. 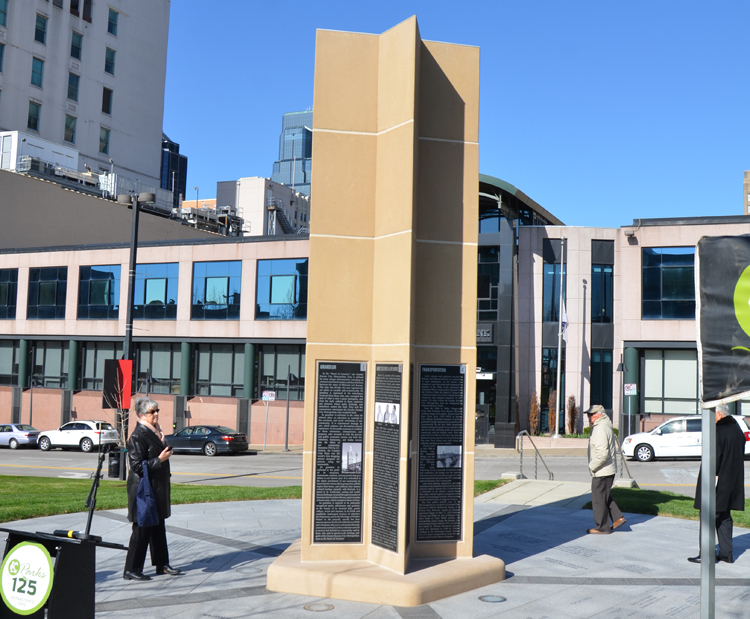 During his tenure 75,000 trees were planted, 200 public flower beds were maintained, sports fields were added to many of the parks, the acreage of park land nearly doubled, five new fountains were added and others renovated, golf courses at Hodge Park and Minor Park opened, Heritage Village at Shoal Creek was created, and the museums to house Hopewell Indian archaeological artifacts in Line Creek Park were built, the park he helped save from becoming a sewage lagoon. He encouraged people to enjoy the parks and to “Please walk on the grass.” Mr. Vaydik died in 1996.